There's a moment early in director Ridley Scott's new film ALIEN COVENANT that pretty much sets up the remainder of the film. It's about 30 minutes in, and a series of fatal errors have already been committed by more than two characters already. The crew of a colony ship stumble onto a wasteland that is, unbeknownst to them, inhabited by rabid alien beings. Right away, quick, ill-advised decisions are made that ultimately establish the weak relationship between two women crew members, Scott's indifference toward the importance of casting talent of color in a sci-fi film, and an ominous precursor of what's to come. 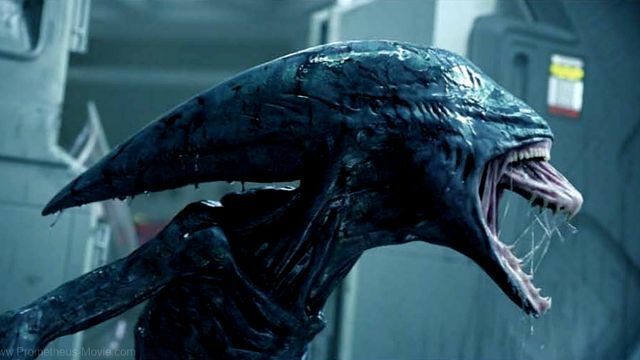 Like many of Scott's films, ALIEN COVENANT is gorgeously shot with special effects and legit jump scares that continue to rival most genre films past and present. For that, it should be commended. It's an edge-of-your-seat thrill ride that literally made me yelp out loud like a wounded puppy during certain scenes. But, the narrative by screenwriters John Logan and Dante Harper is problematic. It becomes apparent early on that they don't care much about the characters here to make them believable—from Katherine Waterston's Daniels to Carmen Ejogo's Karine and even Billy Crudup's confounding Captain Oram. They make silly decisions for people who are supposed to be brilliant scientists. I was going to write that they make uncharacteristic decisions, but that would imply that the characters are developed well enough to know what would be considered uncharacteristic. They're not. In fact, Michael Fassbender's dual performances of both David and Walter, yin and yang bot companions for the crew members, are the most interesting from the lot. Not only are they mesmerizing to watch in a scene together (because really, the only thing better than one Michael Fassbender is two Michael Fassbenders), but they are the only characters that lead and interrogate the narrative with their endless philosophical banter about pro-creation and human condition. While they're exchanging compelling to straight up puzzling dialogue (I mean, real WTF-like at times), the actual humans around them are just barely surviving amid the alien outbreak. It makes me wonder what an Alien narrative centered on these two would be like. Maybe we'll get that next, since it's obvious this is no longer the feminist ballad it once was (despite a limp attempt with Daniels)? I alluded to it earlier in this post, but there is something really, really wrong about the presence of characters of color in ALIEN COVENANT. They're peripheral, throwaway characters that don't bear much weight in the narrative and are so frivolously removed that it bears questioning. I won't say more at the expense of spoilers, but you know something's afoul when the guy from Your Highness and Pineapple Express takes precedence of over Ejogo, Jussie Smollett, and Demián Bichir. Just saying. Die hard fans of the Alien franchise may turn their noses up at this latest installment, especially if they're looking for it to rekindle the magic of the first 1979 film. I love the original film, but while ALIEN COVENANT is a far cry from it, I remain intrigued by where Scott takes his famous premise next. ALIEN COVENANT is in theaters May 19. I was afraid of this review. It seems like Scott had the same problems in Prometheus with character development as he does in Covenant...no development at all. It's crazy that Alien had a handful of simple characters whom all seemed genuine and developed with little nuances within the first 45 minutes. I genuinely wish Scott had scrapped this project and let Neill Blompkamp take over with his project, which now seems far forgotten.